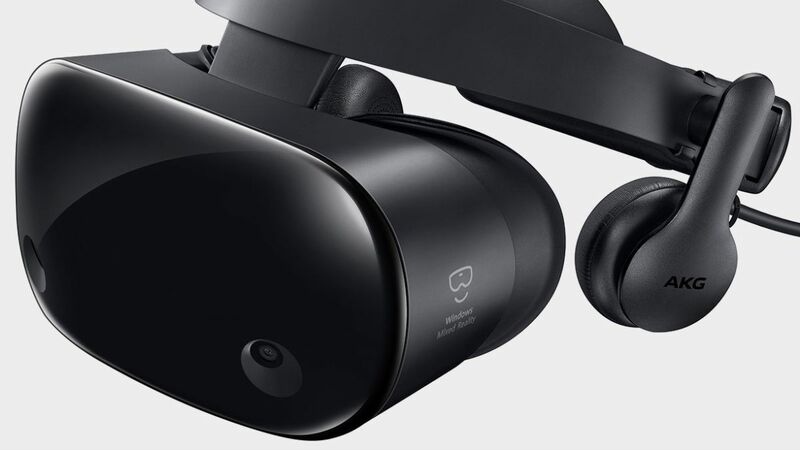 Every headset designed for Windows Mixed Reality has the same specifications, with the exception of Samsung’s Odyssey headsets. A new model was announced in October of last year, and now you can get the original version for just $250. That’s $250 lower than the original MSRP, and ~$150 less than the usual price. The Samsung Odyssey has two 90Hz 3.5-inch AMOLED screens (one for each eye), each with a resolution of 1440×1600. That’s a higher resolution than the original HTC Vive (1080×1200 per eye) and Oculus Rift (1080×1200 per eye). It’s the same resolution as the new HTC Vive Pro, which currently goes for $800. Samsung’s headset also has an FOV of 110-degrees, an IPD range of 60-72mm, integrated AKG headphones, two motion controllers, inside-out tracking (no sensor towers required), and built-in microphones. It uses the Windows Mixed Reality platform, which means you can play most Steam VR games in addition to Microsoft Store titles.